When it comes to The Perfect Turtle Tank there are a few guidelines you might want to consider. Now that you have decided on a pet turtle, some things to understand is that you will need to house your turtle comfortably. 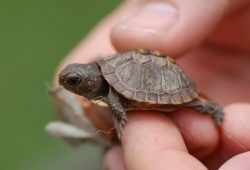 The type of pet turtle that you have chosen will have its own specific needs and requirements for the type of habitat / living area you will need to provide. This in turn will give your turtle a long healthy, happy life with you and your family for years to come. Typically there are a few common needs that all pet turtles will need in the habitat that you provide for them. An important thing to keep in mind is to provide them with both a wet and dry environment. 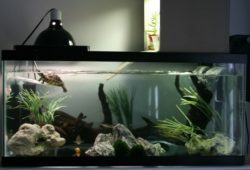 You can do this by making a turtle tank with both a wet area and a dry area in it or by purchasing a Turtle Terrarium. 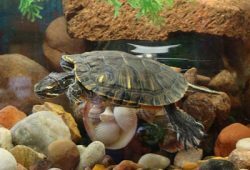 Keep in mind that there are certain things that you will need to include in a habitat whatever the type or gender your pet turtle might be. An aquatic aquarium / tank will consist of water at the right temperature for your pet turtle. The water will need to be filtered and cleaned regularly. You will also need to include other materials such as plants, rocks and a place for your turtle to bask on such as a basking platform. The aquarium should have a constant temperature between both the wet and dry area so that your turtle can adapt to the change between dry and wet environments more easily. 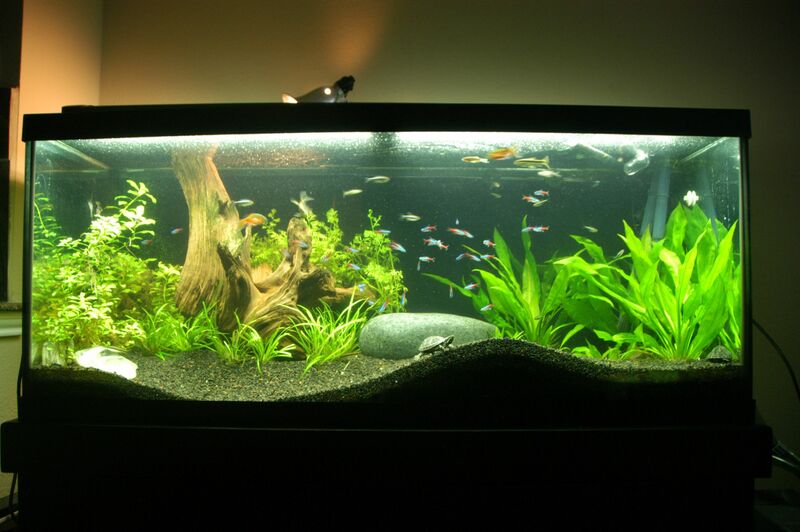 A shallow dish or bowl of fresh water should also be included in the dry area of the tank for them. Did you know that turtles cannot swallow without water? With that in mind you will need to feed your turtle in water which is why you need that extra dish / bowl of water in the tank. This is just one very important reason you will need to make certain that the water in the tank is kept clean. Some turtle owners think that their turtle is a low maintenance pet, which is far from the reality of keeping a pet turtle. The water in the tank should not be too deep and the basking rock / area should either be made of small pebbles or a flat stone. The basking area should be in a area were there will be a lot of exposure to unfiltered sunlight, or be lit by an Reptile ultraviolet lamp. Reptile UV lamps can be purchased at most local pet store or online and are an investment in your pet turtles health and happiness.